The Leader’s Institute® is a fun team building company with over 30 offices around the world. We have figured out simple ways to improve teamwork by creating activities that participants absolutely love. Our instructors consult with over 400 companies on the Fortune 500 list. We also work with thousands of entrepreneurs who want to develop a team culture within their organizations as well. Our energetic and enthusiastic group events and activities build teamwork. We are also know for our corporate seminars such as public speaking classes and leadership development courses. Your group will have an absolute blast when our instructors helps them discover that they work more efficiently when they work together. A Fun Team Building Company Offering Energetic and Interactive Training Sessions. We know it can be overwhelming when you begin a search for a training provider. So, we have tried to make our website easy to navigate by categorizing our seminars and training programs based on the result or outcome that you are expecting. Below are a few key pages to start your search. Fun Team Building Events & Activities. Looking for ideas? Or, if you already know what program you want for your group, start here. This page has a list of all of our programs organized into category based on the outcome that you want. Training Seminars. If your team is looking more for behavior change, then start your search in our training seminar section. The three main areas of content for these types of programs are Leadership, Creating a Team Culture, and Presentation Skills. For details about the Fearless Presentations ® class, visit this website. Resource Center. Looking for an icebreaker activity? Looking for articles about leadership and team development? Then start in the Resource Center. We have identified a dozen or so of our most popular blog articles and videos here. This website also has 1000’s of articles and hundreds of videos to help you develop your workforce. So, if you have a specific question, either type it into the search bar at the top of the page or visit our Contact Us page. We often respond to questions within minutes. A Few of Our Most Popular Programs. 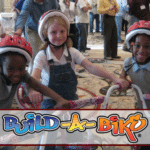 The Build-A-Bike ® Bicycle Team Event was the first ever charity team building activity. (It is still, by far, the most popular as well.) In the activity, teams have to work together to solve challenges and decipher clues to acquire bicycles piece-by-piece. Once teams earn that last part, they build a new bicycle for a child in the area. Then then donate these freshly assembled bikes to a local children’s charity. 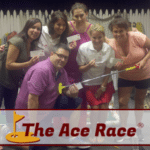 The Ace Race ® is, by far, the most energetic and enthusiastic fun team building company event that we offer. Your group builds an entire mini-golf course in less than 30 minutes. (The golf course is made of non-perishable food items, by the way.) The fun starts when they realize that to “play the course”, they must get a hole-in-one (Ace) on each hole. The moment that one of the team members aces the hole, the group erupts in cheers and rushes to the next hole. 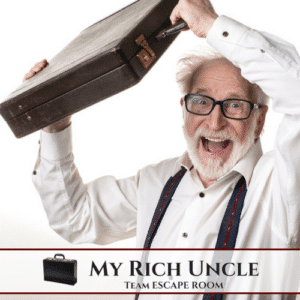 Click Here for a List of all Fun Team Building Events and Activities. Explore Our Website for Lot’s of Free Leadership and Team Building Tips. Obviously, our instructors make a living teaching groups and consulting with client companies. However, they have also written thousands of self-help articles and recorded hundreds of instructional videos. Our list of articles and instructional videos are organized into categories. So, if you find an article or video that you like, make sure to click the Category link next to the author’s name. This will pull up summaries of related articles on similar topics. Below are a few tips for finding great content on this website. Use the Search Bar. On every page of the website, you’ll find a small magnifying glass in the top, right corner. Click that icon to open a search bar. Just enter a search phrase like “Meeting Tips” or “Ice Breakers” for a list of articles and videos about that phrase. Follow Links within Each Article. In many cases, an article that you are reading will refer to another article for clarification about a topic. Most of our articles are under 1000 words, but we often have dozens of articles on each topic. By exploring related articles, you will acquire more depth in each topic. Connect with Us on Linked-In, Facebook, and Twitter. All of our instructors are very active in social media. So, if you have a question, post it to one of our social media sites. You will often get a response in seconds. Use the Contact Us Form. We have account managers and instructors standing by. So, if you have a question or want an instructor to come to your office, just fill out a form on any of our event pages or at Contact Us. Connect with us on Facebook, Twitter, and Linked-In.